The world’s honeybee population started to take an unfortunate turn around 2006, due to multiple factors caused in the most part by mankind, either directly or indirectly. Much is said about planning for the future and the same should be said about planting for the future, too. We should all look at planting beautiful, bee-friendly plants and flowers in our gardens and yards. Not only will it benefit the bees and other helpful pollinators, your gardens will look fantastic! Many of us do not have much space for gardens, or, because of our busy lifestyles we do not have the time to maintain them. If this sounds like you, good news! 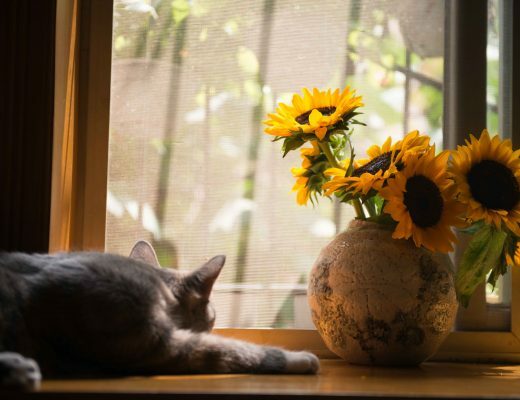 After copious, copious amounts of research, we have come up with a list of flowering plants that our bees love, can be grown in pots on balconies or windowsills, are all low-maintenance and low allergenic, for those of us who suffer from hay fever. Most of the plants we chose are common herbs that you can use in your cooking and herbal teas as well, so it’s a win for the bees and us! If you have space and really want to get you hands dirty, then you should also take a look at this comprehensive guide to the best flowers for honeybees and our native bees which include flowers, large shrubs and trees. And if you want to take things a step further, we’ve also produced a guide on beekeeping for beginners. Use the table below as a quick guide to see the plants’ blooming months and ideal growing zones, and then plan your garden accordingly. 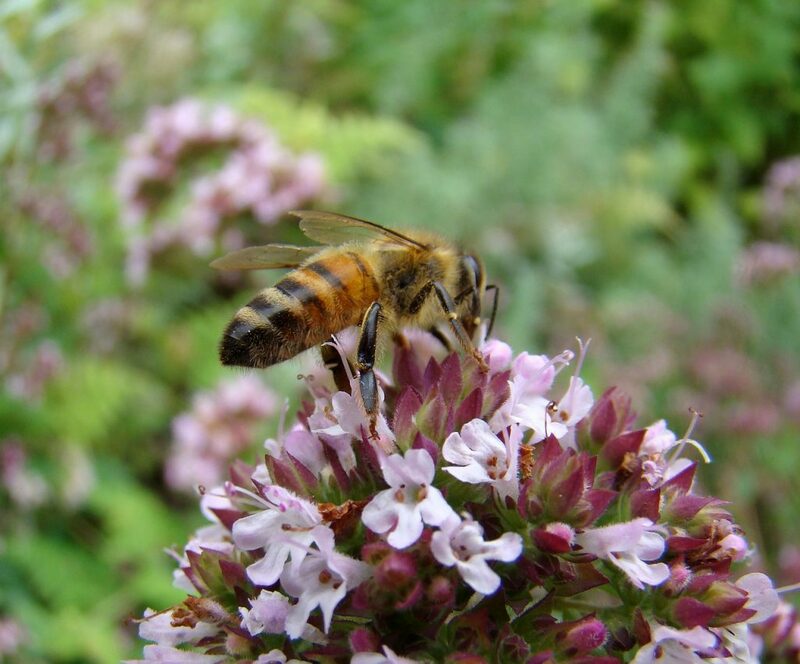 The seeds of this perennial herb were once scattered around Tasmania in early efforts to enhance the honeybee population and bee forages at the beginning of the 1800s. In fact, you’ll find it growing wild all over the world. Thymus serpyllum makes for a fantastic lawn-substitute (who would’ve guessed!) and if your Thyme starts looking dead, give it a trim to rejuvenate it. Produces both high nectar and high pollen. Over 400 species to choose from. Is a must have in any herb garden and/or as a culinary border. Very drought tolerant and withstands foot traffic. Has antiseptic, antimicrobial, and anti-fungal properties. Thyme is sensitive to botrytis rot and other plant diseases. Thyme can also be susceptible to fungus. 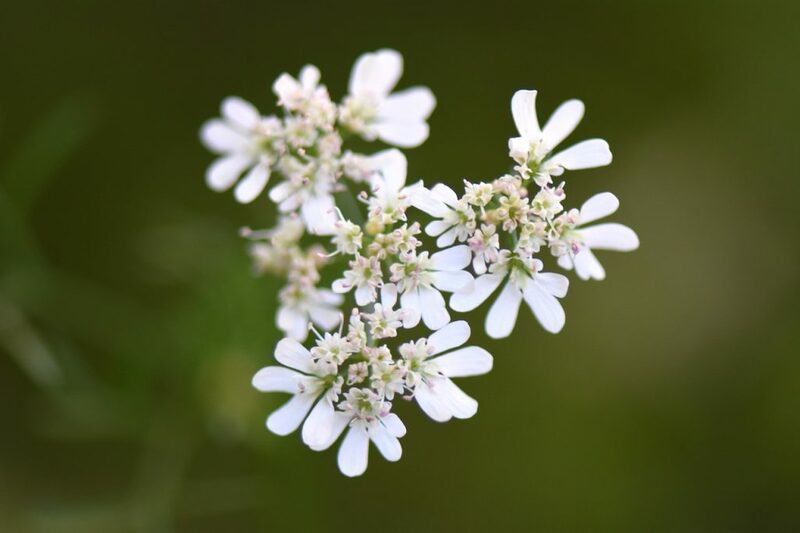 This borderline invasive perennial herb is widely cultivated mainly for its essential oil and honey. No matter if you’re growing it in an urban setting or domestically, put it in a pot to keep it from taking over. If grown in large quantities or as a field crop, irrigation will be required. Did we mention mint is invasive? Plant it in a container! 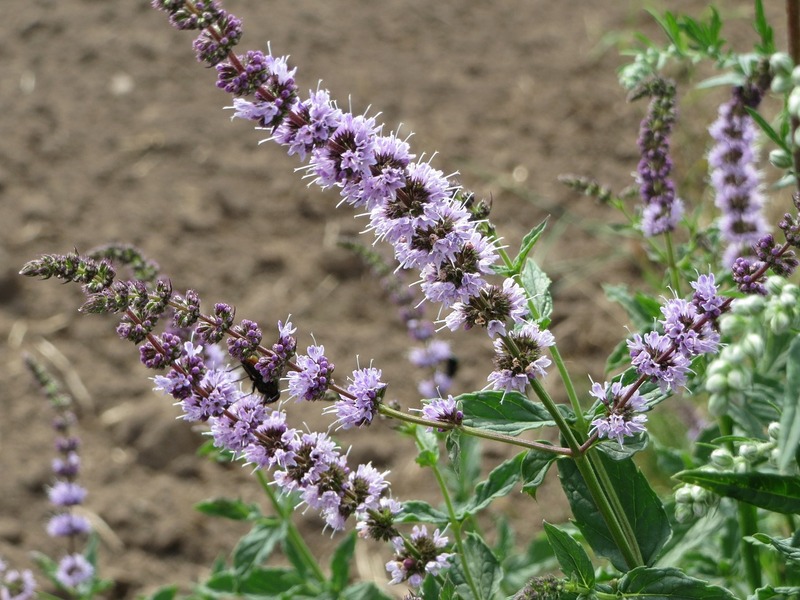 Produces a fragrant honey with a distinct menthol taste and spearmint nuances. Great companion plant for cabbage and tomatoes. world’s most prized honey. 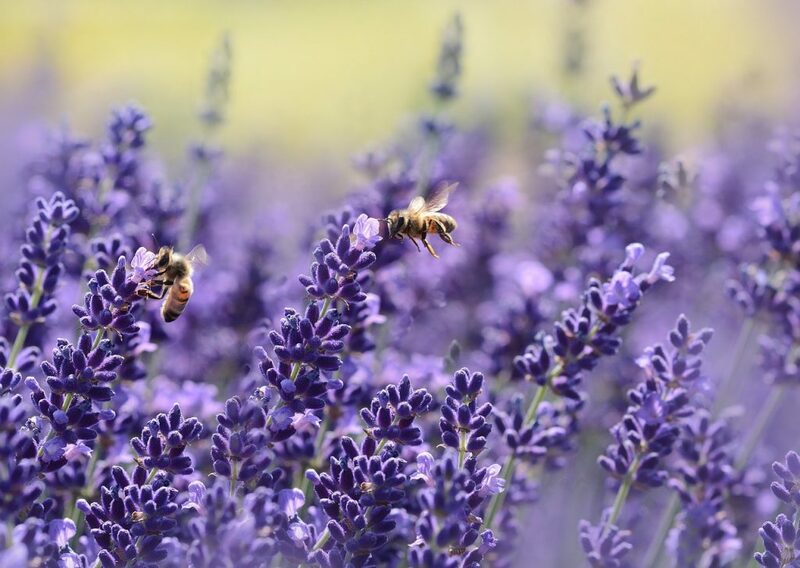 Lavender honey can be white to amber in colour with a strong floral aroma that’s extraordinarily intense with a persistent lavender component. If the honey is dark, it can have salty notes. Not to be mistaken for Lavandula stoechas (topped lavender) which is prohibited in parts of Victoria and being assessed in other states as a weed. Produces both high pollen and high nectar. Perfect for the bees! Looks beautiful in patches, fields, or as borders. The flowers smell amazing, and you can make your own lavender products. The plant must become established (takes about one season) before it becomes drought tolerant. 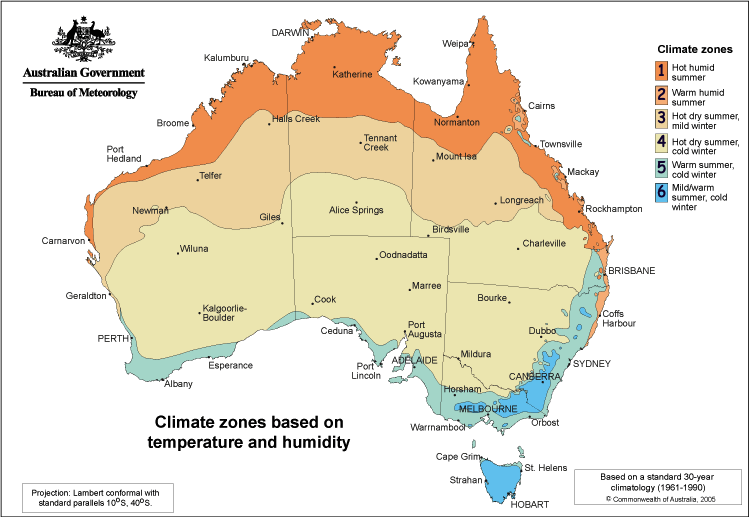 Does not do well in tropical regions. However, new varieties are coming out all the time so check with your local garden centre. Produces high amounts of nectar for our bees. Attracts natural predators that prey on your pests like aphids. Ideal companion plant for potatoes, spinach and anything prone to aphids. Only lasts for a few weeks after flowering, but planting seeds every few weeks solves this. Some people cannot stand the smell of Coriander. and its honey bears a delicate, cucumber flavour. Not to be confused with blue borage honey from New Zealand. Reseeds itself so you will always have it. 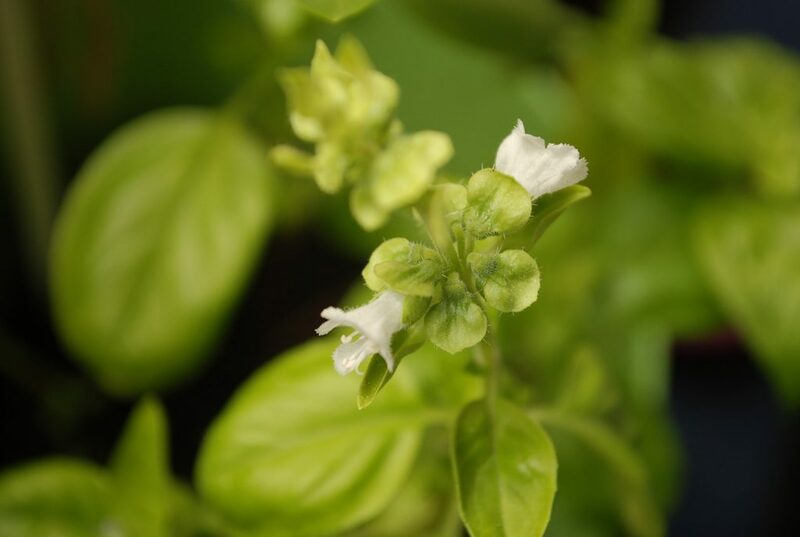 Sweet Basil is an annual herb that complements any herb garden. It grows up to 75cm tall and can spread out, sometimes up to 60cm. in diameter. Basil is a well-loved culinary plant whose leaves can be added to food dry or fresh. A good gardening practice is to let some stems flower (for the honeybees) and make other stems continue leaf production (for cooking). Is a hardy plant that will almost grow anywhere. An excellent herb for culinary and aromatic purposes. Not frost hardy, keep sheltered. 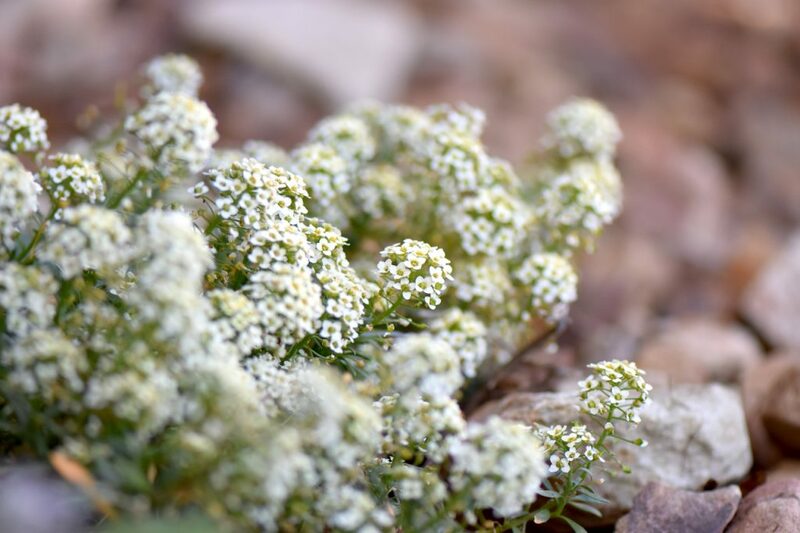 Alyssum’s are an annual plant with a variety of different coloured attractive clusters of tiny flowers. The flowers give off a sweet smell almost like honey. Most species of Alyssums are self-seeding, so they will spread through your garden if you let them but the seedlings are easily removed if you wish to. The nectar and pollen amounts per flower are low compared to others but it makes up for it with a generously long flowering season, and the abundance of flowers in such a small area meaning the bee does not have to work very hard. A perfect plant for rock gardens. Attracts all sorts of beneficial insects to your garden. This hardy perennial herb is easy to grow and makes a great border. Its broad leaves give off lemony scents when bruised and its flowers can be used in salads, lemon tea, and as a substitute for lemon peel in cooking. Melissa is the Greek word for bee, and the official name for the Lemon Balm because of honeybees’ undeniable attraction to it. Produces high pollen and nectar. Great for herbal tea’s and potpourri. 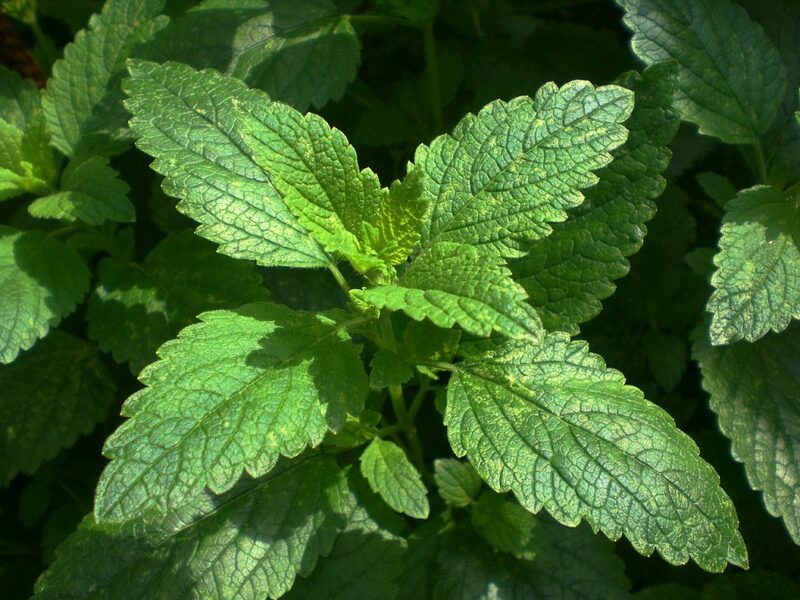 Lemon Balm is susceptible to mint rust and verticillium rot. 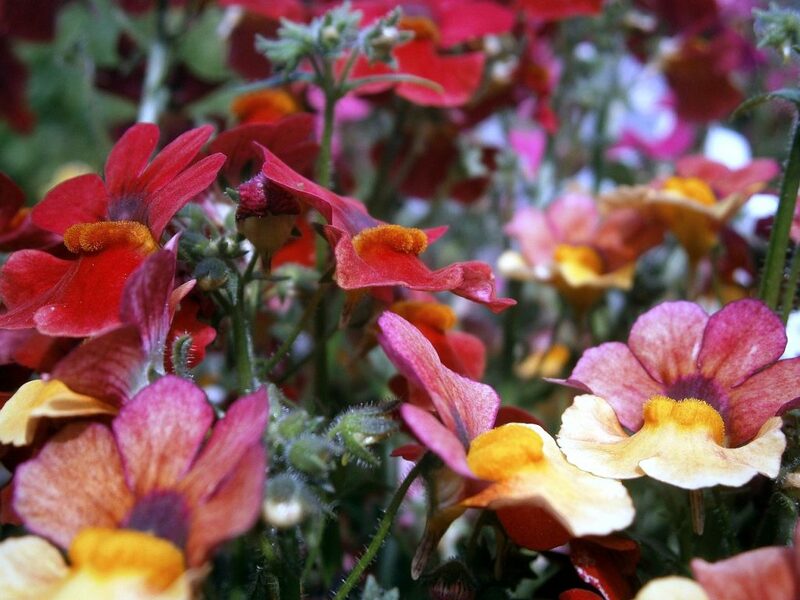 Nemesia is a bit of an odd-duck, classified as both an annual and a perennial. 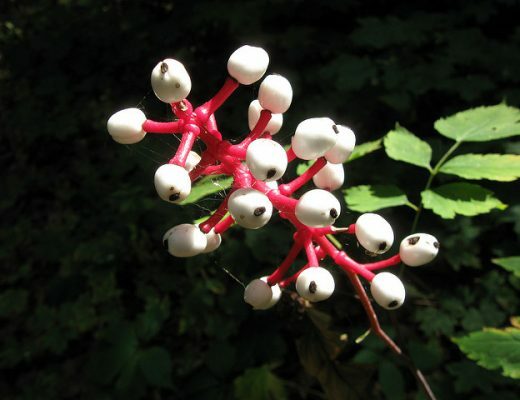 This flower is native to South Africa and blooms all year round, but mostly in the winter. Bees love them, so be sure to plant a few mounds in your garden for pops of colour and happy honeybees. Did we mention that they smell delightfully fragrant and with over 3,000 subspecies, come in every colour of the crayon box? 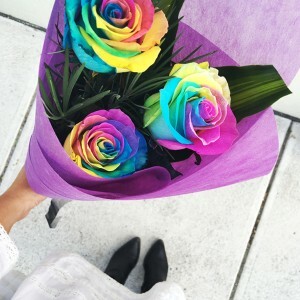 Flowers for most of the year. 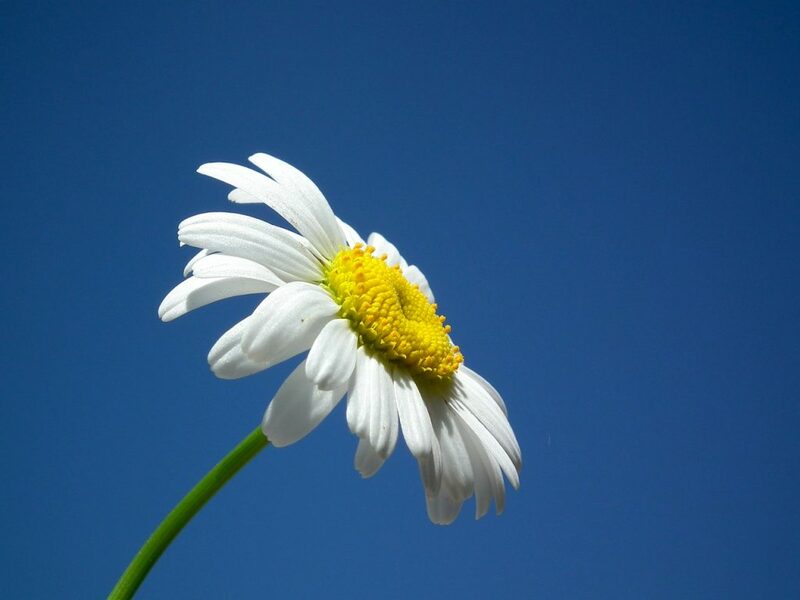 We actually have around 1000 native daisies, but most are unknown to most of us. The Brachyscome genus is mostly only found here and in New Zealand, and it is a mix of annuals, perennial herbs and small shrubs. 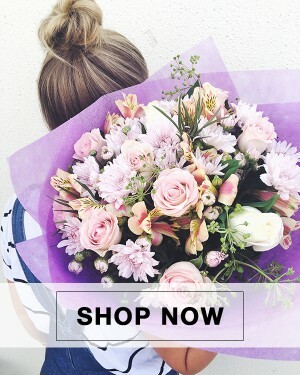 The beautiful big flowers range in colour, from shades of white, blue, pink and purple. A great, hardy, low maintenance plant for any garden. 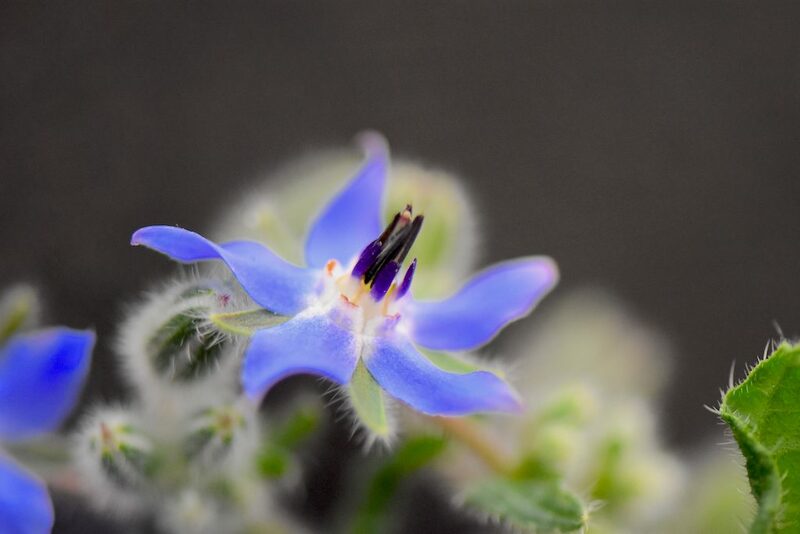 Depending on the species planted, climate or if you use multiple Brachyscome species, then the flowers could be popping up all year. Natives, they attract our native bees too. Lots of different species to choose from. Some species may start to look untidy. However, a light trim always helps. The above post is meant only as a general reference guide aimed at home gardeners for attracting bees. The provided flowering and planting months are intended as a broad guide only as various different growing conditions will get different results. We have tried to source the most accurate data available to us and our own gardening experiences, but recommend that you check with your local plant experts for more detailed information on what grows best in your area.